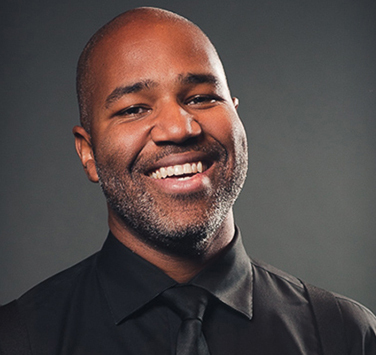 A passionate communicator, Daniel Bartholomew-Poyser brings clarity and meaning to the concert hall, fostering deep connections between audiences and performers. He is the Artist in Residence and Community Ambassador of Symphony Nova Scotia, conducting ballet and pops with national and international artists and designing diverse and relevant family and outreach shows for the Halifax community. He has served as Assistant Conductor of the Kitchener-Waterloo Symphony and Associate Conductor of the Thunder Bay Symphony Orchestra. Daniel has performed with the Hamilton Philharmonic, the Eastern Sierra Symphony, the Stratford Symphony, and has been re-invited to the San Francisco Symphony for four seasons. Next season, Daniel will debut with the Toronto Symphony Orchestra, the Kingston Symphony Orchestra, and the Calgary Philharmonic Orchestra. Daniel earned his Bachelor in Music Performance and Education from the University of Calgary, where he also earned a Diploma in Advanced Wind Band. He received his Master of Philosophy in Performance from the Royal Northern College of Music in Manchester, England. He has been awarded the RBC Emerging Artist Grant and the Canada Council for the Arts Jean-Marie Beaudet Prize for Orchestral Conducting, and has recently been appointed to the Board of Orchestras Canada. As an educator, Daniel taught instrumental music at Glenmore Christian Academy for nine years, taught high school strings at Waterloo Collegiate Institute in Waterloo, Ontario, and led university orchestras at Ambrose University and Wilfrid Laurier University. In addition to his guest conducting, Daniel is an active participant in the music classrooms of the Waterloo Regional District School Board working as a guest conductor and teacher.